Low profile hydration pack ideal for endurance and extreme sports fits perfectly to the natural movement of your body thanks to the unique 'X-fit' straps concept. Comes with 1.5L SOURCE WLP Hydration System. 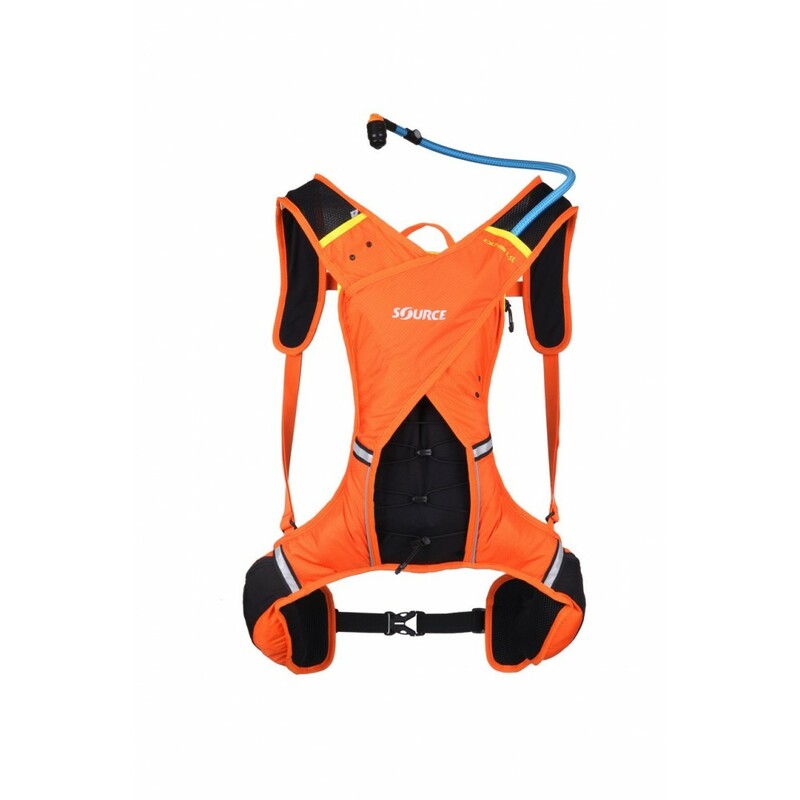 The DUNE introduces the unique ‘X-Fit’ shoulder straps concept, they enwrap the body and guarantee a perfect fit while at the same time allowing uninhibited and free body movement. The innovative ‘No Flap Straps’ adjusting system avoids loose strap ends. Small easily accessible pockets are available for essentials or minimal stacks of nutrition for extra energy on the trail. 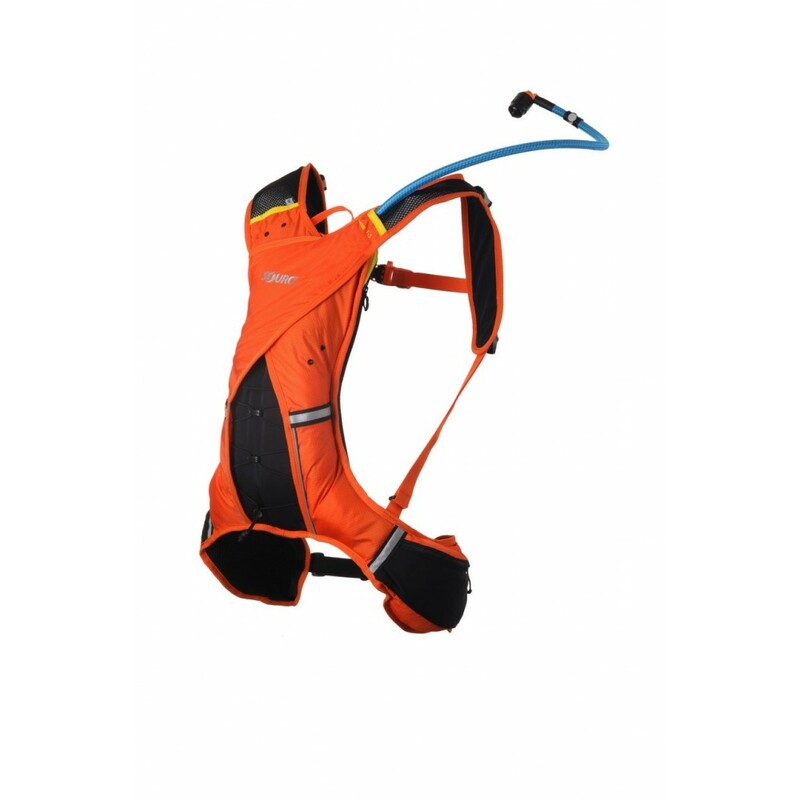 The DUNE comes with the unique 1.5L SOURCE WLP Low Profile Hydration Bladder. Lightweight, high performance Ripstop 70D Nylon. Optimal ventilation breathable materials and open 3D air-mesh. Side & back pockets made from elastic fabric to accomodate more cargo. UPDATED HYDRATION POCKET for easier inserting and removing of the WLP bladder. HIP BELT BUCKLE on the side pocket to minimise friction and pressure. 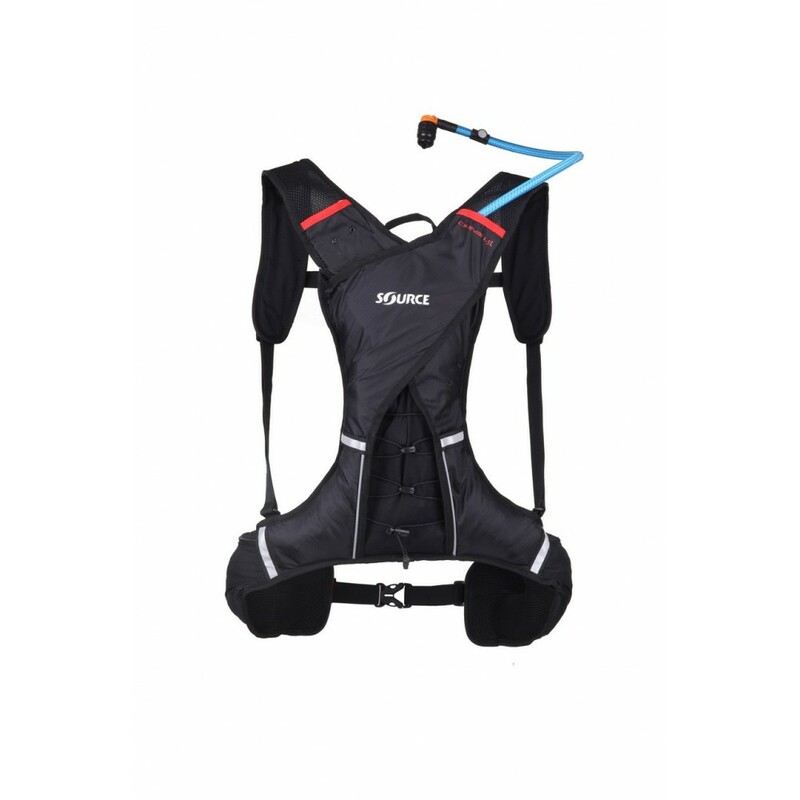 The hydration system is a must have biking accessories for longer rides or a sport which requires intensive efforts. A good hydration system is easier to maintain, easier to fill and empty, easier to carry without much hassle, carry ample amount of water(2 or 3L) and provide a hands-free convenient valve to drink from. 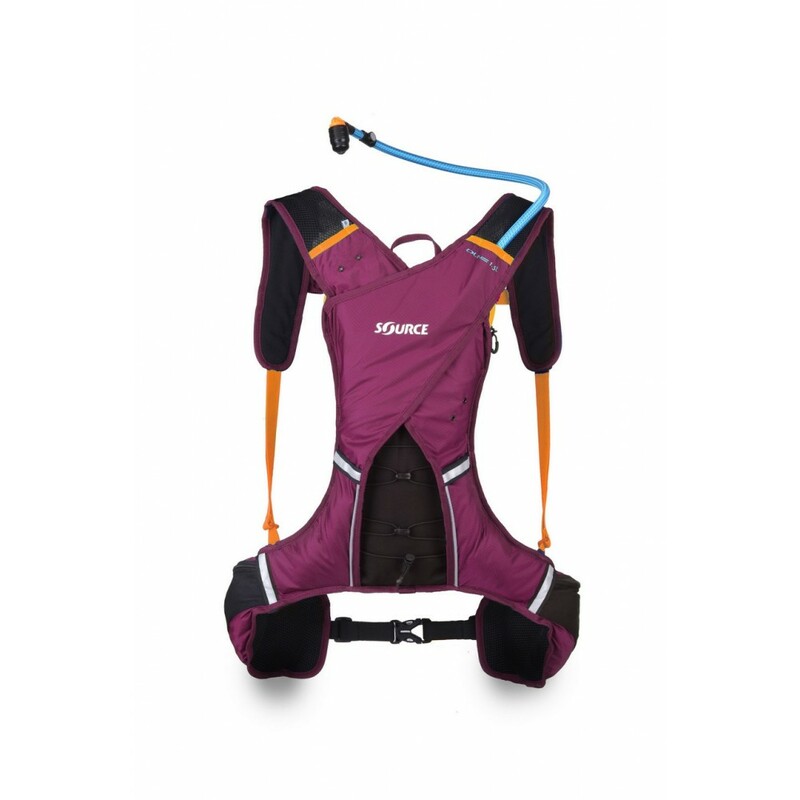 Some hydration systems are pouched inside a bag which may or may not be reflective in nature(as you go up the price range), comes with pockets to carry spares and energy bars and money and other essential items. Hydration System allows outdoorsy to indulge in the game completely yet keeping his/her hydration needs fulfilled. SOURCE is a groundbreaker in Hydration Systems and Sandals technology and is well known for tactical gear, hiking sandals, hydration and travel accessories for over 20 years. SOURCE (Shoresh in Hebrew) was founded in 1989 by Yoki Gill and Daniel Benoziliyo and now employs more than 200 workers. It has always been a groundbreaker in hydration and sandal technology and is well known in the Tactical Gear, hiking sandals, hydration and travel accessories categories worldwide for over 20 years, currently selling in more than 25 countries, including the United States, Canada, United Kingdom, France, Germany, Switzerland, Australia, South Africa and many more. wizID FIT Bandwiz ID FIT is made up of highly durable nylon band with a Velcro strap adjuster an..